North Carolina A&T alumnus, Kyle Dortch, recently gave himself a Christmas gift. It is one that caused him some hesitant consideration, but not from lack of appreciation for where he has come from. The RUN-DMC styled “HBCU Grad” t-shirt may be a simple gift for most, but for him, it goes deeper than that. As a white male, Dortch recognizes he had the power to attend any school and be a dominant force. 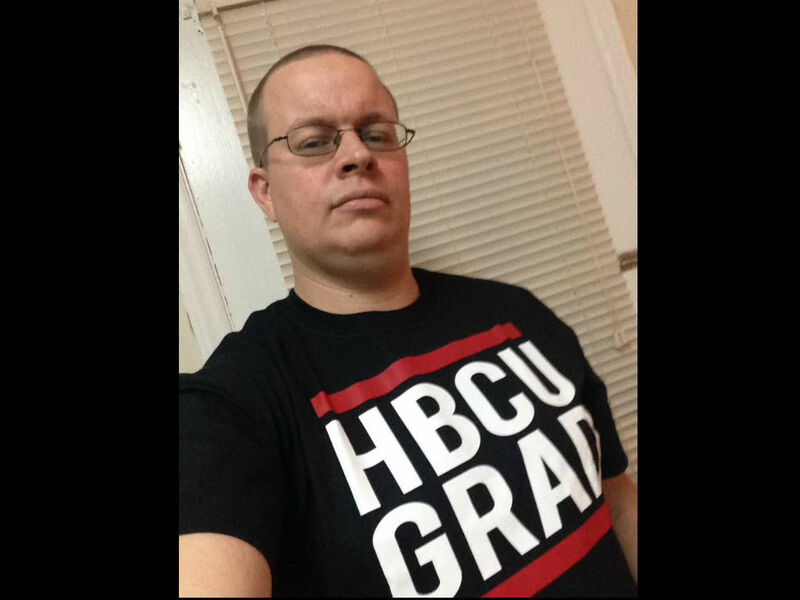 In his Facebook post celebrating his purchase, he worried purchasing the shirt may be perceived as disrespectful, or overshadow students who attended an HBCU because it was the only place where their history could be attained, Dortch mentioned while discussing some of his hesitation. He then realized the role he plays in the struggle for equality and as an alumnus of an HBCU; Dortch defines himself as an ally. “An ally, especially a non-minority person, recognizes the struggles of people of color in America and abroad and use their knowledge and privilege to bring attention to the problems and try to effect change.” With just that in mind, he proudly purchased the shirt and wears it in his Facebook post and profile picture. “I need to represent where I’ve been and what I’ve done” he says. While attending A&T, Dortch was a member of the band. He was at every football game and witnessed the team flourish through time. Though he had to work the weekend of the Celebration Bowl, he mentions that he watched the A&T victory on television. He also mentions being a huge fan of baseball and attending those games, along with most basketball games. He very much well has every right to be proud of where he earned his education and to celebrate it.